40 national teams from 5 continents will compete the title at the FIPGC WORLD CHAMPIONSHIPS. From 20th to 24th October 2017 at Host Milan Fair will be held the FIPGC (International Federation Pastry Icecream Chocolate) World CHAMPIONSHIPS. 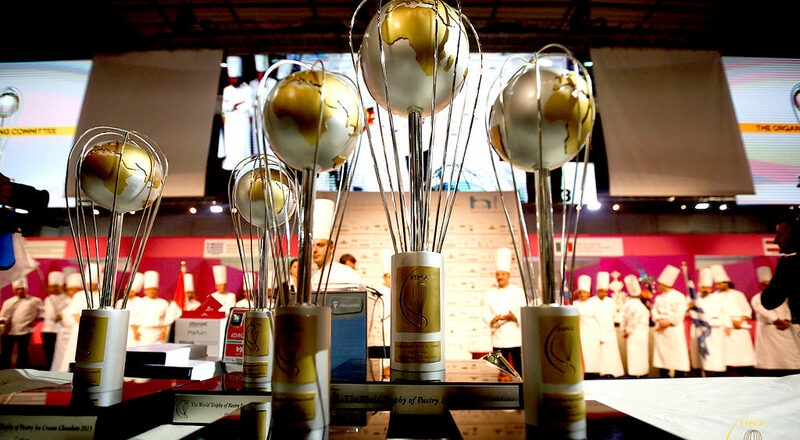 On 21st and 22nd October at “The World Trophy of Pastry Ice Cream And Chocolate” the following nations will compete for the title: FRANCE, AUSTRALIA, ITALY, HONG KONG, JAPAN, ALBANIA, USA, BULGARIA, THAILAND, GREECE, CHINA, UNITED ARABIAN EMIRATES, CZECH REPUBLIC, SWITZERLAND, ROMANIA, MEXICO, MOROCCO, COLOMBIA, TUNISIA, EGYPT. On 23rd and 24th October at the “Cake Designers World Championship” the following nations will compete for the title: JAPAN, SLOVAKIA, ITALY, TRINIDAD & TOBAGO, FRANCE, CZECH REPUBLIC, UKRAINE, POLAND, USA, PERU, SRI LANKA, PUERTO RICO, MACAO, SERBIA, HONG KONG, HUNGARY, GREECE, UNITED ARAB EMIRATES, CHINA, ENGLAND.